Q: I was filling out an application form for US Citizenship and Immigration Services, and there was a question asking whether I had been “inspected” by an immigration officer when I last entered the US. Like every other time, I just got off the plane, stood in line, showed my passport and had it stamped, had my fingerprints taken, answered a few questions, received an I-94 card, etc. and was on my way. Doesn’t “inspection” mean something more elaborate than that? A: You were in fact inspected by US Customs and Border Protection (CBP). The process you described is what some 98% of visitors to the US experience. It is officially known as “primary inspection” and is the routine treatment that visitors receive. The remaining roughly 2% are subjected to what is known as “secondary inspection.” This is what happens when the CBP officer at the primary inspection point thinks there may be a problem with the admissibility of the visitor, based on incomplete travel documents, a name match with a government law enforcement database, or the like. In addition, a small number of visitors are selected randomly for secondary inspection. With secondary inspection, the visitor is taken to an area separate from the primary inspection area, sometimes a private room, and questioned and possibly searched. (This is probably what most people think of when they hear the word “inspection.”) Usually the officers conducting the secondary inspections are more experienced than those at the primary inspection desks. After the secondary inspection, some 90% of those involved are, in fact, admitted to the United States. So remember: Any travelers coming through US ports of entry in the normal way, with no problems, have in fact been “inspected” by immigration authorities. CBP has a fact sheet on the inspection process and the reasons for it. It points out that travelers who believe that they have been mistreated by CBP, or delayed or denied entry for an inappropriate reason, may file a report online at http://www.dhs.gov/trip. We suggest that anyone contemplating filing such a report contacts us first to determine whether doing so makes sense in a particular case. More information on the inspection process and the functions of CBP can be found on their web site, www.CBP.gov. 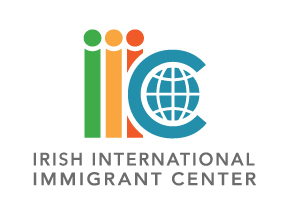 For a free, confidential consultation about this or any other aspect of immigration law, visit one of the free IIIC legal clinics advertised each week in the Irish Emigrant. Disclaimer: These articles are published to inform generally, not to advise in individual cases. Areas of law are rapidly changing. US Citizenship and Immigration Services and the US Department of State regularly amend regulations and alter processing and filing procedures. For legal advice seek the assistance of an IIIC immigration specialist or an immigration lawyer.